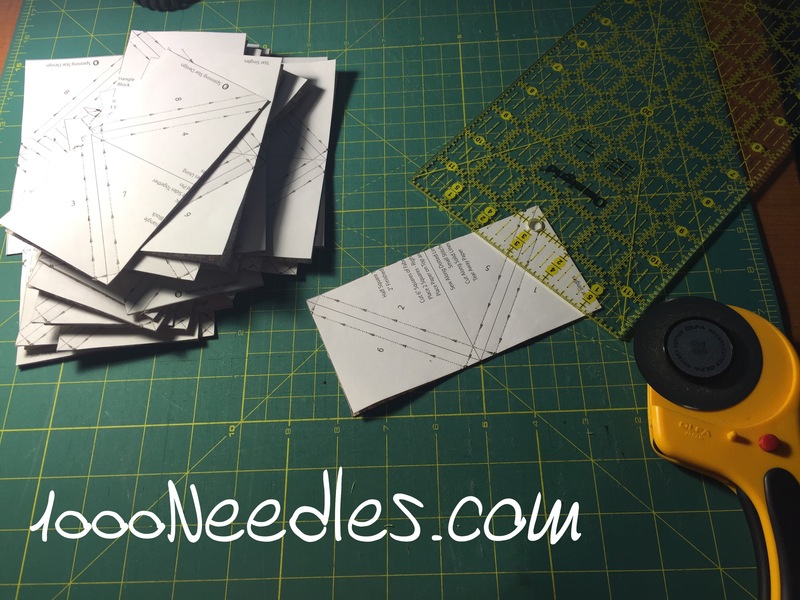 Here’s what I started with and I started cutting all 21 of those squares. Then I cut them into half squares. 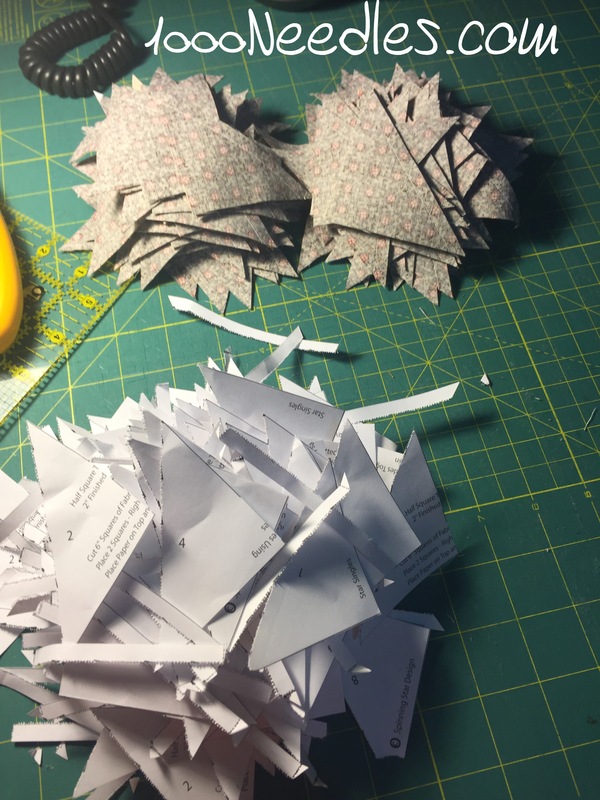 And once I had all the triangles cut, I removed the paper. 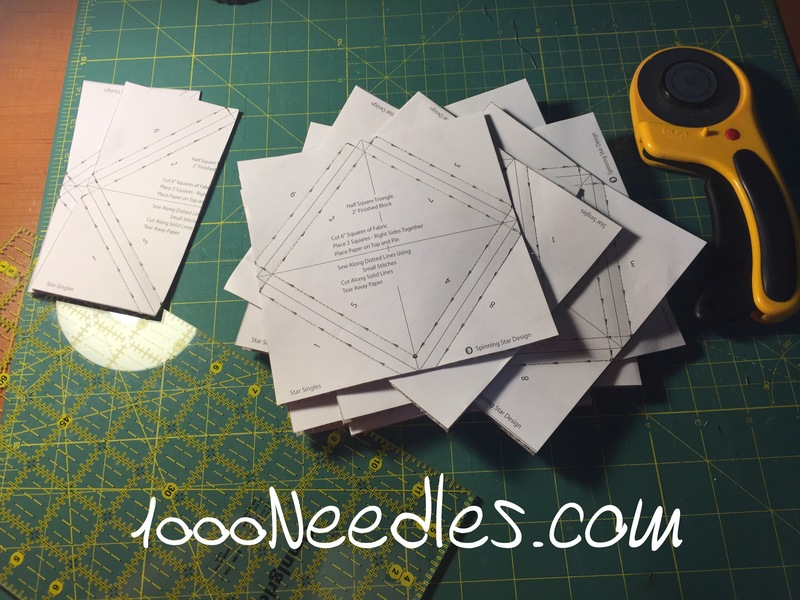 Next Step – Pressing the HSTs. ~Here’s to a great day! 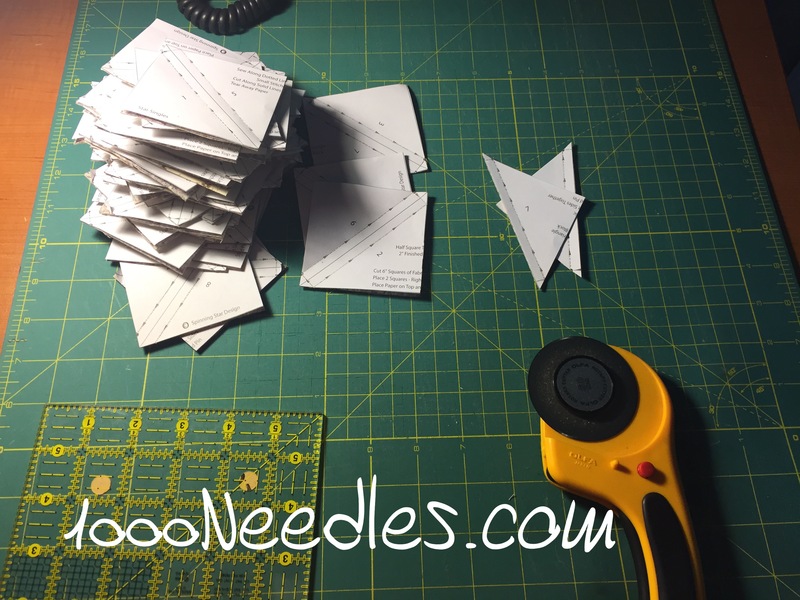 That’s one tremendous pile of HSTs! Looking forward to your reports.